Remember how Seattle was going to contend in the AL West? How the Orioles were finally going to surge out the basement of the AL East? And how the Twins were going to be in a dogfight with the White Sox and Tigers - and that maybe none of them would end with a winning record? Yesterday, the Twins won their 85th game while still having nineteen games left to play. I vaguely remember something about PECOTA, Baseball Prospectus' player projection system, saying that the the Twins would top out around 80 wins. But I'd forgotten that the White Sox and Tigers were also supposed to have about that many wins, too. And wasn't Cleveland also supposed to be in the mix, maybe a couple of games back? Unfortunately, I can't go back and evaluate that because I can't find those projections anywhere (If anyone still has a link to those projections, I'd love to see it.) However, I did do a story a little over six months ago on Vegas Over/Unders, so let's take a look at those and see how Vegas did, and how many wins each team has won so far. Vegas was right that the Rangers were legitimate, and even ended up underestimating them a bit. And Vegas just about nailed the A's. Nice job, degenerate gamblers. But there are two teams that really surprised, and not in a good way. Like everyone else, the Mariners massively disappointed the over/under. As negative as I've been about them (starting back in January), even I said that I thought the Vegas estimate of 83.5 wins seemed about right. It wasn't close, and neither was PECOTA, which means we somehow all missed the boat. Either we're all very stupid, or just about everything went wrong for that team this year and we should give them a little bit of a break. Or, of course, they are massively incompetent. Like, so incompetent their CEO would send out a letter blasting the local media to all his employees. Nah. That would just be crazy. I hope the BP faithful took my advice and ignored my mocking tone, because you would have doubled your money. PECOTA might very well end up closer than Vegas to the Angels final number. Are we really not talking about the fact that the Angels are going to lose almost 20 games more this year than last year? That seems like something worth diving into. Vegas is going to end up being close on the Yankees. Both Vegas and PECOTA picked the Red Sox to win that division, but given the injuries that team went through, it isn't shocking if they end up a half dozen game below their projection. Those half dozen wins are going to the Rays instead, and it's not shocking that they would have been underestimated by Vegas. It's not like they're going to draw the fan money that the Yankees and Red Sox will. The Orioles look like the Mariners - just everything went wrong. I'd be shocked if anyone thought they would be this bad. They used it as an opportunity to bring in Buck Showalter, who is going to look like a genius next year when they undoubtedly do better. This year's Blue Jays team is better than last year's Blue Jays team, and I didn't see that coming, but maybe I should have. Last year's Blue Jays team outscored their opponents by 27 runs, but managed only 75 wins and 87 losses. This year's has outscored opponents by 20 runs, and has a 73-70 record. The surprise is that this team didn't slip much after losing Roy Halladay and Alex Rios. This would seem to also be worth studying a bit. After all, they're one of only two American League teams that have already passed their "over." And the other one is your Minnesota Twins, but let's get back to them in a second. Give credit to Vegas on Detroit, who is going to be very close to that number. Misfiring on the Indians and Royals suggests a gambling axiom I might want to try out: pick the consensus worst team in the division and bet the under. Odds are, with an unbalanced schedule, they'll be pretty bad. The White Sox surprised everyone, including themselves, with their surge over the last few months. I wonder if we'll give them enough credit for it, or if we'll decide it was fluky. I'm leaning towards the latter. In fact, I kind of feel even they think it was fluky. Do you really pick up Manny Ramirez's $4M contract otherwise? Isn't that a classic "short window of opportunity" move? But let's get back to the Twins. PECOTA had them below .500. Vegas had them eking out a division crown, but only by outlasting a bunch of other mediocre teams. It had them finishing below the Red Sox, Angels, and Rangers and tied with (blink. blink.) the Mariners. They will overachieve to the tune of 10 to 15 runs over expectations, both over the money guys and the stat geeks. Oh, and they did it with their leading MVP candidate missing the entire second half of the season with a concussion. So it's not like they lucked out with injuries. 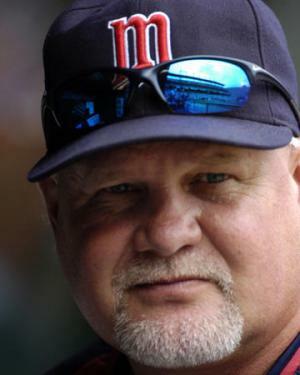 I don't agree with a lot of the arguments I hear claiming Ron Gardenhire should be this year's AL Manager of the Year. I don't think this is his best year. I also don't think he should get it because he's finiahed second so many times. And I certainly haven't agreed with him on all aspects of his logic or style. But manager of the year is usually awarded to the team that overachieves the most. And if we look at what we really thought back in March, whether via stats or wise guy intuition, that team is the Twins. They are going to win their division. They are going to do so because of an awesome second half. And they not only are blowing expectations away, but are outdistancing another surprisingly good divisional rival. If we look at the overall results, and we're honest about what we thought six months ago, it seems pretty clear: Ron Gardenhire deserves this year's AL Manager of the Year. I thought before the season the Twins were going to run away and hide from this division. The real surprise is the White Sox. I didn't think they had a chance to win 90 games, but they could very well do it. I didn't understand how the Twins were going to struggle when they were the defending division champs and added Hardy, Hudson and Thome and would have Slowey and Pavano for the entire season. Maybe I was putting more credit than I should on those winter league reports on Liriano, but there was no way he was going to be as bad as he was in 2009. Yes, the Twins lost Nathan, but the impact of closers are overrated and the Twins had plenty of depth in their bullpen. I was as excited about this team as I had been since 2005. That didn't work out too well, but this certainly has to this point. PECOTA is a joke. If you project every team to win somewhere between 75 and 87 wins, it's pretty easy to claim at the end of the season, "see, we were right on 75 percent of our projections!" You're also simplifying the Vegas over/unders. Each of those over/under line comes with a 'vig,' meaning betting the Twins 'over,' for example, would have cost you something like $130 to win $100. They are also heavily influenced by the amount of action the casinos expect to get on each team. There is more betting on California teams, for example, because a large percentage of the customers in Vegas drive up from LA. So before the year Vegas and most "experts" had the Twins winning the division. They (probably) will win the division. They were also not the only team in the division with significant injuries (Sox had Peavy, and the Tigers had a bunch in July/August). How have the Twins overachieved again? Remember, the Twins are NOT a small market team any more. Expectations are a lot higher. Give Gardy all the regular season trophies you want. Anything short of at least 1 playoff series victory this year should not be deemed a success. The Twins FO has said it themselves. The most appalling part of PECOTA's preseason projection was that it expected the Twins to give up more than 800 R. They're presently on pace to give up fewer than 650. How do you blow that by more than 150 R? There's something about the way the Twins are put together that PECOTA doesn't like, but that performs very well in real life. This might be the link you mentioned in the fourth paragraph.